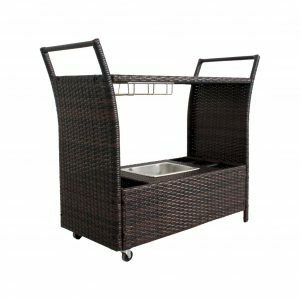 Your guests will think you are the ultimate host with this stylish Outdoor Bar Cart with built in ice bucket and wine glass rack. Our bar cart is made from quality wicker and rattan. We deliver Australia wide to all major cities including Sydney, Brisbane and Melbourne. Buy from us securely when purchasing online. We use afterpay and offer a 14 day return policy.